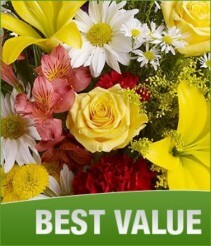 Best Selling Flowers Elyria, OH | PUFFER'S FLORAL SHOPPE, INC. 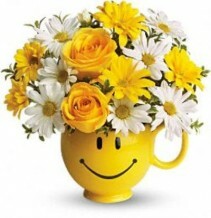 Cheerful floral arrangement designed in a festive "Be Happy" mug! 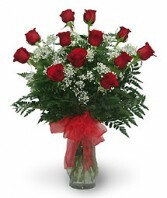 Great for birthdays, get well, or just because! 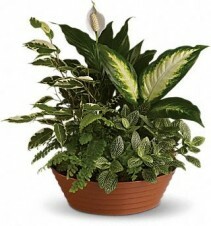 Plants and containers may vary by availability. 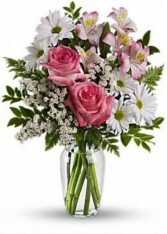 Beautiful loose wrapped floral bouquet (no vase) with the freshest assortment of seasonal flowers available.